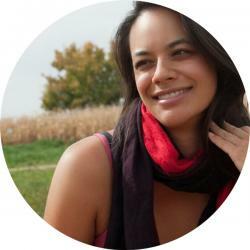 Amy Segreti is an entrepreneurial journalist, editor, dancer, coach, manifestress and coworks at Scrib in Boulder, Colorado. She's been published in Thought Catalog, The Baltimore Sun, The Globe, InMadrid and elephant journal, among many others. Formerly the editor-in-chief of Twine Magazine, she helps people live their truest expressions at Live All of You. More than the coffee and the wifi, coworking spaces can facilitate our own self-realization. Coworking spaces are vital in supporting people who choose sustainable, healthy work. Amy Segreti shares a few simple ways you can use your coworking experience to help support your dreams.